Baby is the size of: At the ultrasound today... she's measuring 4 1/2 lbs. We know this can be off a bit, but it's about what we are expecting. Symptoms: I've been having some contractions every once in a while this week. They are small, but I can feel them. This made me get on the ball and start at least getting things organized to pack - just in case she decides to come early! We had a "stress test" to monitor heart rate/contractions today and I could see & feel some small contractions. Oh, and my big toe was asleep for a week. Strange!! Dr said it goes along with the feet swelling. Sleep: Sleeping ok. I wake up on my back a lot and it doesn't feel great to have all the pressure sitting on me. But the process of turning on my side is not fun, either. Tonight I had dinner with 4 other Trisomy mom's and it was just wonderful! It it just so great to meet other women who just "get it" and to see how each of their babies have affected those around them. They are just all wonderful women, all in different stages, and wow! Each of their stories are touching and a light for others! Movement: Um, still a lot. In fact, we learned at the ultrasound today that she is BREECH again! So we will wait and see how she is positioned this Friday at my last OB appt, and can have her turned (ow!) Monday before being induced, too. I am hoping she turns on her own. She has plenty of fluid and is small so either way should be fine. Gender & Name: Hallie Lynn (Lynn is Chris' mom, my sister and my aunts middle name!) About time we decided, huh? 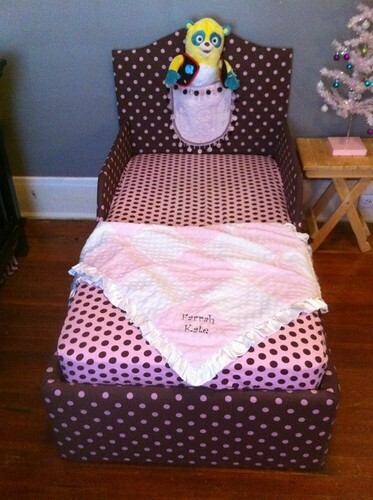 :) We think it goes well with Bella Reese and Farrah Kate. What I am looking forward to: Meeting Hallie!! I seriously cannot believe I only have a week left. I am sort of a crazy wreck in some ways, but calm in others. I've been nesting like crazy today. I even cleaned out the car. What?!? Reflections on the past week: Wow, I've been all over the place. But I've mostly been ok. I had some contractions early Sunday morning around 5am and my mind was spinning... "should I be up packing right now because I have nothing packed?!?!" Then I fell asleep and they stopped. I've been feeling big and over being pregnant. I've been sad, anxious and nervous. I have had such a good time with my kids - they are a true joy and make me so thankful. Chris and I have had lots of talks this week, as this is becoming more real to him, too. So this last week has been more of the same - a roller coaster, but maybe with a few more hills. I expect this is how the next several months will be. But I truly feel ready to meet my little angel. God, give us more hours of joy than pain. Allow us to turn the corner of sorrow, to celebration. Cause us to see her as a gift. And allow us to cherish every moment she’s with us. Change our hearts. I mean, I never would have guessed that our prayers would be so overly answered by God. But He knew. We are so so thankful that He is a God of compassion and love. He's bigger than all of this. I still don't know that I'll ever understand, but I don't feel alone in my sadness. And when the harder times that are still to come get here... I'm confident He'll get us through it. Thank you for praying for these last 6 months!! One thing I have not yet mentioned, we do have a wonderful photographer Christy Martin, who is also with the organization "Now I Lay Me Down To Sleep" We are so thankful to know Christy and to know that this resource is out there for parents like us! If you are a parent that goes through something like this, NILMDTS is wonderful!! Thank you, Christy!! Again, thank you all for the prayers, thoughts, messages, cards, meals, watching our kiddos... we are forever grateful. We will keep you updated this week! You are so welcome. I will continue to pray for Hallie. I am so glad you have a photographer. A million times I meant to ask you if you knew about that organization, so I'm thrilled to know you do. What a wonderful gift that will be. Wow. A week?? How is that possible?! I have already had you guys on my mind daily, so now I guess my prayers will step up to hourly. ;) Watching you walk this journey with such courage, faith and transparency has been a privilege, sweet friend. I know there are many dark nights that we'll never know about - the stuff that only God can handle - but your life and Hallie's life have changed me and I'm sure countless others. You are loved, my friend, as is sweet, beautiful Hallie. Love the "big girl" bed you got. Very cute! I am new to your blog, and not really sure how I even got here. I just wanted you to know that you and your family have been in my thoughts and prayers all week and will continue to be in the coming days.